â€¢ 700+ Songs to learn from different eras and genres. â€¢ Highly configurable guitar with clean / distortion effects. 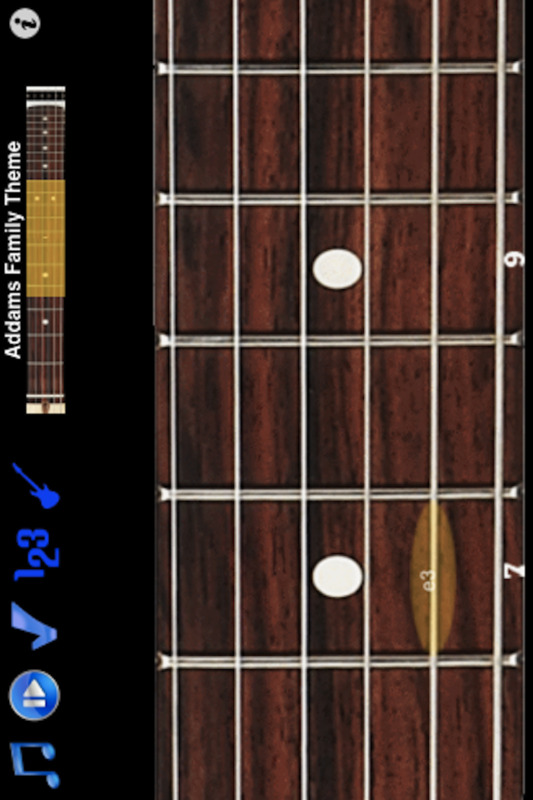 â€¢ Resizable fretboard suitable for all devices and tablets. â€¢ High simulator quality and is quick and responsive. â€¢ Professionally recorded digitised Fender Stratocaster sounds for each separate note or go acoustic or plug in the distortion! â€¢ Focus on sections of the song to master those licks. â€¢ Adjust the speed and volume of the riff for playing along. â€¢ Highlight notes on/off to play by ear. â€¢ Standard note tab naming convention.